Welcome to our Living Resilience website. Founded by renowned author, speaker and life coach, Carolyn Baker and author, resilience coach and transformational training designer, Dean Walker – Living Resilience is an alliance of authors, journalists, health professionals, concerned global citizens, scientists and artists. What we all have in common is a mutual concern that humanity has conducted itself in such a way (primarily for the past one hundred years) that has landed us in a Twenty-First Century confronting not only vexing problems at every scale of life on Earth, but, more importantly, a set of predicaments that show no sign of relief or solution. It is the acknowledgement of these predicaments that sets Living Resilience apart from the crowded world of life-hacks, self-help webinars, and our addiction to perpetuating the lie of infinite human growth on this finite planet. 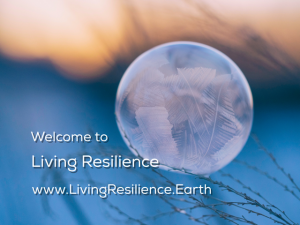 Our orientation in this Living Resilience alliance is to offer tools and resources to people who are sincerely engaged in living a full and extraordinary life – in the face of already occurring or imminent collapse of human and Earth systems. Each of the terms listed here in caps, represents a category or essential element of the work of Living Resilience. You will always be able to quickly search this sight using this list of essential elements or categories. These elements are on the right margin of this and other pages on this site. If you desire more content or information about any of these categories, just click on that word in the right-side list and you will see a full listing of all content on this site that addresses that topic. At the heart of this remarkable alliance of vibrant creatives is our shared commitment to embody Transformational Resilience. By this we mean that we are, each in our own way, expanding our inner tool-kits and capacities to not just endure or survive in any coming wave of personal, local or global stress – but to aim for growing, learning, staying connected and even thriving in the midst of that wave of stress. Or the next, or the next. We are very excited to bring you the best tools we can find and generate, to assist in your own pursuit of facility and even mastery in resilience in your own life, your family, your workplace, your community. 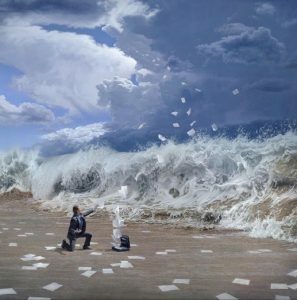 Along with resilience we have found a few other distinctions and fields of study and experience that are vitally important for anyone attempting to find islands of sanity in our otherwise chaotic, self-destructive and often fully insane, world. When working with our coaching or workshop clients we have some important groundwork to do before we get to the creation of resilience practices and accessing higher levels of presence. Often we will start with an inventory of what each person loves about life and being alive. 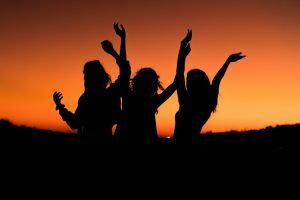 As simple as this may sound, it is an extraordinary practice to adopt, especially when we can share these lists-of –loves with other kindred spirits. When we have painted a vivid inner picture of what we love about life, we give ourselves access to our hearts, our emotions, our passions. We begin to remember the source each of us has within, the source of what gives our lives meaning. You are the Tree of Life. Beware of fractioning your self. Obviously there is no one, simple answer. 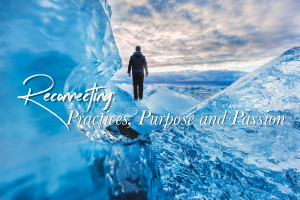 What we have returned to, time and again, as we create ever more effective tools and processes for our shared transformation, is that we have essentially disconnected from the primary sources for meaning in human life. In order to live and succeed in this fossil-fuel-driven extravaganza, we (both collectively and individually) we had to over ride the innate sensitivities and wisdom, right-relationship and sacred or divine inter relatedness that is a birthright in every being. We have learned to live life as if we are essentially separate from our inner wisdom, from other people and from Earth herself. It is hard to imagine a more destructive orientation for human life on Earth, than to be disconnected from these primary sources of meaning and from the web of life itself. For those who may be asking at this moment… we assert that each person may find their own relatedness or connection with God, the divine, the Soul, Spirit, and the like, through the gateways of Self, Others and Earth. We are asserting that life in 20th and 21st Century Business as Usual Culture and our disconnection from self, others and Earth has resulted in us being, collectively and individually distracted and essentially not present in our own bodies, our relationships with others, and our relationship with this miraculous planet we call home. As we become more fully present to the miraculous gift that life is in each moment, we begin to notice the truth about the world inside us as well as the world around us. The warning signals we have spent our lifetime ignoring or over riding become more and more vivid as we awaken to our innate inter relatedness with the web of life. While it becomes more obvious that there is no aspect of our world that is separate from the other elements – we notice that there are select groupings of Earth and human systems that make it profoundly obvious that our shared biosphere and our human operating system within it… are in the midst of, or on the verge of, collapse. In this Living Resilience work we call these elements and indicators, Sober Data. We are always scanning for updates about the health of human and Earth systems. Over the past few years we have focused our attention on a small handful of Sober Data topics and metrics. The first Sober Data topic we assembled was, of course, about climate change, Abrupt Climate Change, Anthropogenic Climate Disruption. If you are already aware of this topic then it is unlikely you will be surprised by the articles, videos and tutorial content we offer here on the site. If this topic is new to you there will be much to dig into as you become conversant about this daunting topic. 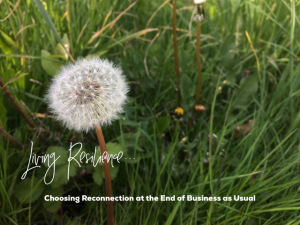 You may want to kick start your research by reading Dean Walker’s, The Impossible Conversation: Choosing Reconnection and Resilience at the End of Business as Usual. There is also immense value to be had by reading the collaborative writing of Carolyn Baker and Guy McPherson in, Extinction Dialogues: Living With Death in Mind. This topic, while in the news more than ever and the subject of endless mock “debates” from the climate science deniers of this world – is one of many that are equally deserving of the attention of concerned human beings. Other Sober Data topics you may want explore with us: Global Species’ Extinction, destruction of habitat, reduction of species diversity, the state of the world’s oceans, the unsustainable nature of our human operating system / global economic systems, the interconnectedness of Earth and human systems including Environmental justice, Social Justice, The impossibility of infinite growth on a finite planet. While there are many people who pride themselves on being physically fit and attending to a rigorous set of physical, dietary, psychological and even spiritual practices – the average person on Earth is suffering under the weight of an ever-growing burden of stressors with an ever-shrinking level of body awareness and knowledge of self care. 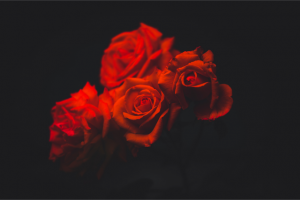 One of our dear allies, Philip Shepherd, suggests that it is our almost non-existent relationship with our own bodies that forms the deeply flawed foundation for our disconnection from others and Earth. A curious reader may want to start in the Category called, Manifestos in the list on the side of this page. Shepherd’s, The Embodiment Manifesto, is a spectacular place to start as we focus our attention and intent on reconnecting with these miraculous vehicles in which we experience every spec of this life… our bodies. When we begin to open to long forgotten, precious aspects of life we have no choice but to grieve that which we have lost or regret in this life. How ironic that our over riding culture has even compelled us to resist and ignore this most essential and natural core experience in life. Indeed our culture tends to be: grief phobic, pain phobic, death phobic, loss phobic. What we have found is that those who are willing to break with the cultural trend and allow themselves to fully experience and honor the natural process of grieving, often find immense inner treasures of loving memories, a sense of completion and even healing of long held wounds and many recount the experience of great release and relief by inviting the waves of grief that so naturally want to wash through us as sensitive, alive beings. We hold that anyone who sincerely wishes to be of service to themselves and their loved ones in the coming times, will include a strong facility with grief in their inner tool kit. Humanity, particularly the humans living in the most privileged countries and circumstances, are currently fighting a desperate battle. This battle is one that rages on a global scale as well as the most deeply personal level. On the surface it can look like a battle that involves politics and media, religion and pop culture. The easiest aspect of this battle to identify is the vocal, powerful minority population who selectively assert that science is bogus and not to be trusted. Particularly, the science about climate change or global warming is entirely suspect as it is used to question the core story and cultural and economic structures we all call, Business as Usual. To the degree that any person alive on Earth today is suffering under the delusion that one small slice of applied scientific research is wholly invalid… that person is sentencing themselves and others to an extra portion of pain, suffering and complicity in the further destruction of our shared, global habitat. This entire realm of human-caused, climate change denial could be called a central element in the toxic, vitriol that passes for civil discourse in our world. And while it is indeed only a vocal and powerful minority that broadcasts the core denial message, there is an obvious resonance inside many of us, even those who consider themselves to be very caring Earth citizens, engaged in efforts to recycle and implement alternative energy strategies in their communities. In this Living Resilience alliance we are offering tools, classes, coaching and safe environments in which to grapple with this “Impossible Conversation.” To face our current global situation is to come to terms with our cultural and individual addiction to an entirely fossil fuel-driven lifestyle that far surpasses the most luxurious lifestyles of royalty past. We are asserting that the screaming vitriol of the deniers and all of the myriad ways the rest of us find to distract ourselves from engaging in any significant way in our shared predicament or even the lesser, problems… all of it, is our collective way of avoiding our now deeply destructive, even eco-cidal addiction to this fossil fuel saturated lifestyle we call normal. We are committed to bringing forth the most powerful tools and experiential learning methods available today to help us all strengthen ourselves, become more fully present and capable as we all face the inevitable waves of challenge and predicament that are clearly on our collective horizon. Resilience. We are committed to encouraging resilience in all who are brave enough to engage in their own version of, The Impossible Conversation. We in this Living Resilience alliance invite you to join us in being kindred spirits with and for one another. We invite you to join us in forming some number of small, supportive, tribal units around this globe. 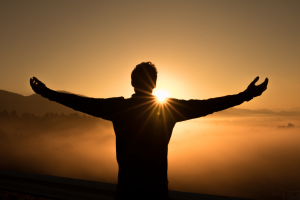 We invite you to join us in the expansion of core capacities and inner tool kits in the name of accessing core joy, grace and love instead of the fear, pain and disconnection that promises to accompany those who desperately hold on to the dream of the resurgence of growth in the Business as Usual world. We look forward to sharing this most remarkable journey with our allies around the world.